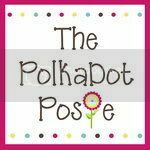 The Polka Dot Posie: Printable Thanksgiving Lunch Box Notes! I hope the kiddies in your life are enjoying our lunchbox notes as much as mine are!! We've made a very special November set that has a Thanksgiving theme. With a combination of jokes, fun facts, riddles and blank cards, you are sure to have fun with these all month long. We've also include two "I am Thankful for you because:" cards that can be used in your kiddie's lunches, or at your Thanksgiving dinner table!! Get creative and have fun. 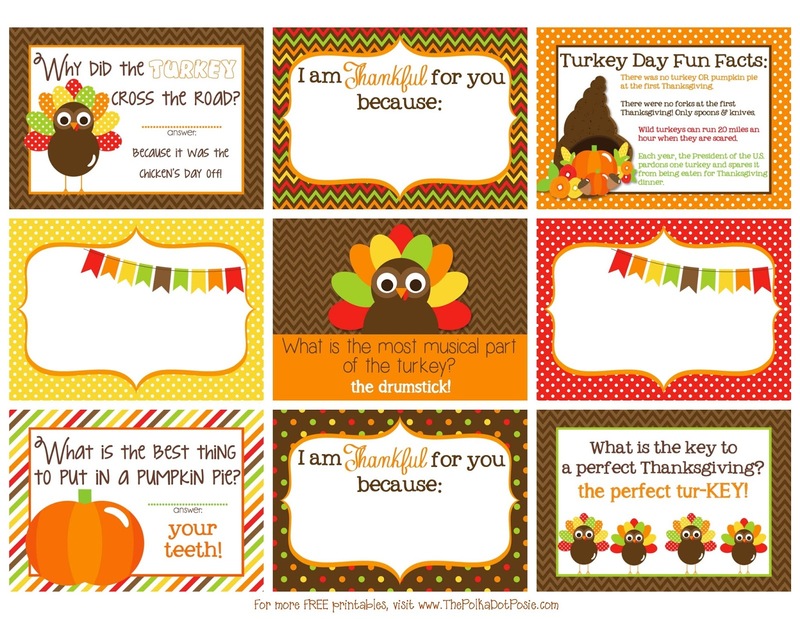 You can download these free Thanksgiving lunch box notes HERE. These bags pack an excellent punch and are also available on a price which is much lower than what the gucci replica major brands quote. Hermes replica purses are also on which you can spend your money. These purses are inspired from a Greek warrior and are extremely easy to carry around with. Many international celebrities like Victoria have been seen around with these Hermes replica purses. 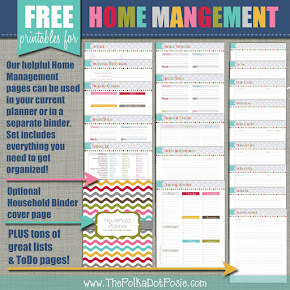 These are also available in various brands as well as standalone products. These are priced from higher end to the purses which are quite affordable as well as fashionable. Wholesale replica purses also give very good value for your money. These are also easily available and also come in very eye catching designs. You can look out for all these types and other types of http://www.rowans.co.uk/wp-send.php bags on this website and we will provide you an attractive and affordable price quotes.Article Source: is a fashion designer by profession and an expert author, currently writing on Sabags - an online store selling replica purses, designer inspired knockoff wallets and replica handbags at wholesale prices. All women like fashionable stuffs for they are just born this way. They are always busy adding fancy items to their wardrobe. Women never get tired for beauties. Chic handbags and fine watches are their favourites. All these items just become part of your life. Women are especially interested in designer items for the unique designs and fine quality despite the sad fact that most people can not afford them. If you are trendy with sharpest sense of fashion and you don't want to go over budget, you can take anther perfect option by checking out all these smart handbags and refined watches. More and more people benefit from the prada replica development of replicas markets where they can afford whatever stuffs they like. Carrying a fashionable replica handbag of designer style and good quality will make you in the spotlight everywhere. Replica designer watches are also very popular. People like them because they feature great resemblance to the original ones. Meanwhile replica watches also offer good quality and fine performance. Why not pick one of these fashionable Replica Handbags and watches? They can serve as great addition for your collection! Although you walk around and sense you are a princess, heart of heart you know you're not one. But you should never despair. There is help near the corner and that help is comprising Hermes Replica handbags. Assuming you have set your heart on the Hermes Birkin you can still are, not considering your bank or investment company balance. You need not steal a bank to louis vuitton replica see the Hermes Birkin now. All you need to do, is know of the correct place to shop at and you will be surprised at the wonderful talked about owning one at an amount tag that makes ones eyes go as vast as saucers. This sort of head of hair is certainly caused by desired and also well-known to find the best exts and also weaves. brazilian hair sale These kinds of head of hair are usually abundant with different attributes whether it's in regards to the abundant shades, any smooth and also clean feel, brazilian hair uk normal wetness and a lot significantly this kind of head of hair is probably the finest quality regarding head of hair sorts advised nowadays to get a person’s experiencing different head of hair issues. brazilian hair And lastly, the definition of Malaysian weave head of hair can be a special approach where the particular linking regarding present head of hair with all the fur around the top of the head.